Mars or Virtus standing right, holding spear and leaning on shield. 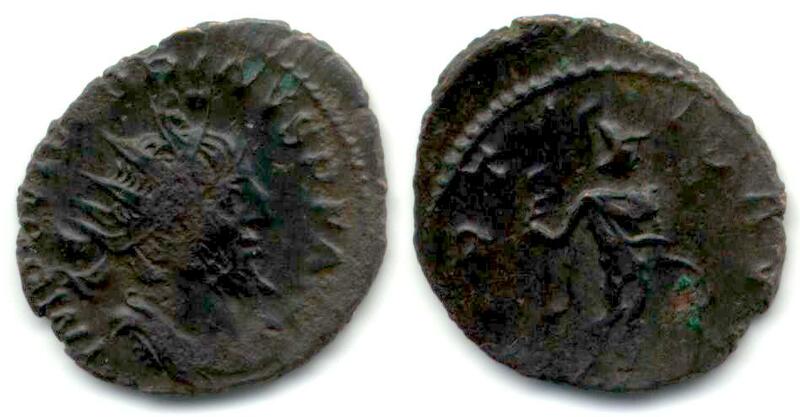 Minted in Colonia Claudia Agrippina Augusta (Cologne, Germany) in 270 or 271 A.D.
Van Meter, D., "Handbook of Roman Imperial Coins", p270, nr. 13.